Asset Managers provides a Bio Hazard clean up service for situations that might present a health risk. 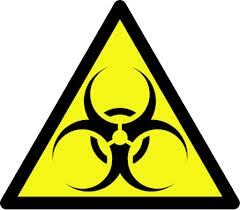 Bio hazards involve infectious agents that are biological in nature. Exposure to biological and chemical contaminants may have serious health consequences. Our technicians are trained in all aspects of decontamination to safely and effectively remove bio hazardous substances and dispose of them properly. 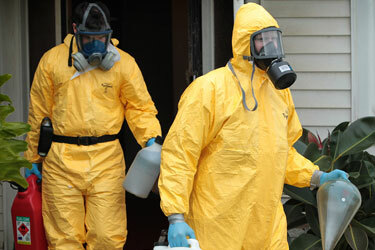 A bio hazard clean removes all contaminated materials from an area or property. It will leave the area completely decontaminated by the use of specialist disinfectants and absorbents. In a lot of bio hazard waste clean up, a large amount of building work is required as a number of materials cannot be cleaned and must be replaced. Our building staff are trained in the correct procedures and disposal of these materials. On completion of cleaning, swab tests are taken & tested in a laboratory to confirm that the site is clean & decontaminated.